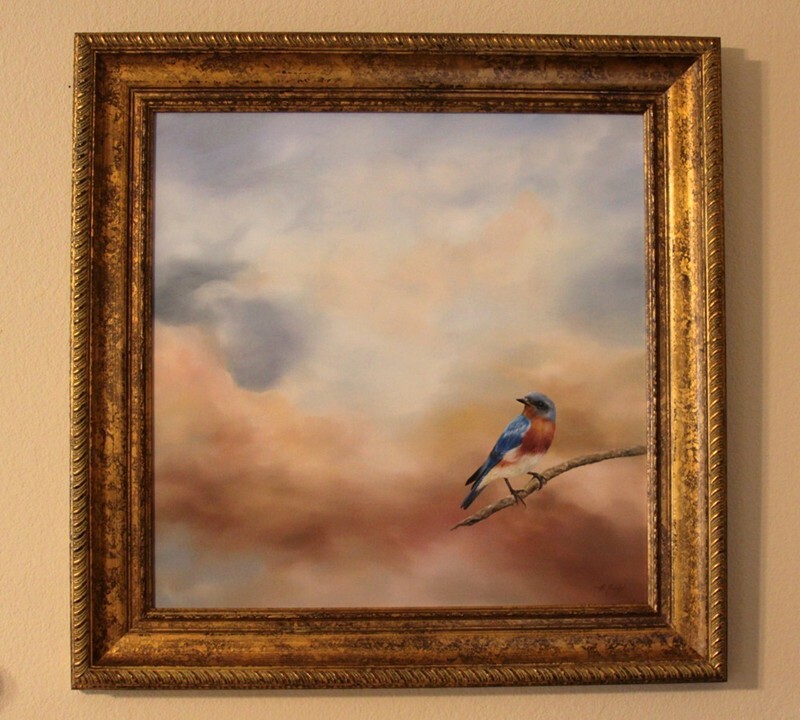 The "Bluebird" has been widely celebrated in songs and literature, often associated with beauty, family values and hope. 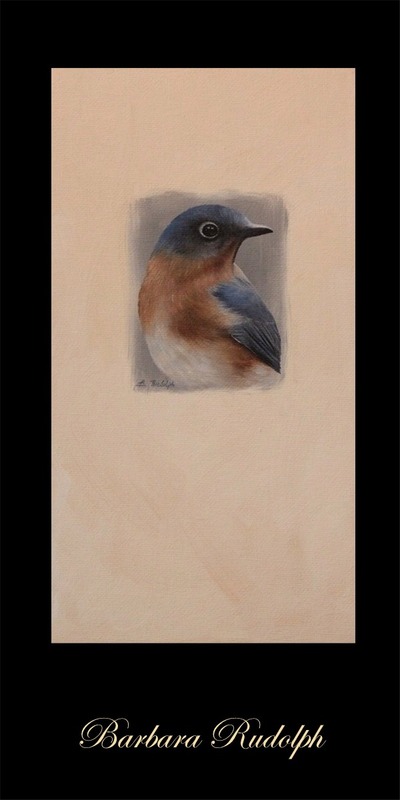 I just finished this little "oil sketch" to go with the "Mountain Bluebird" on my previous post. It also is 12x6" on a canvas panel. The photograph is just a little light in the background color, it is actually more of a cream color. Please contact me for information about either of these paintings and I would love to hear your comments. Love both of these bluebirds, Barbara! They both should "find a home" quickly! Beautiful Barbara. Both Western and the Mountain would make a great pair for someone.